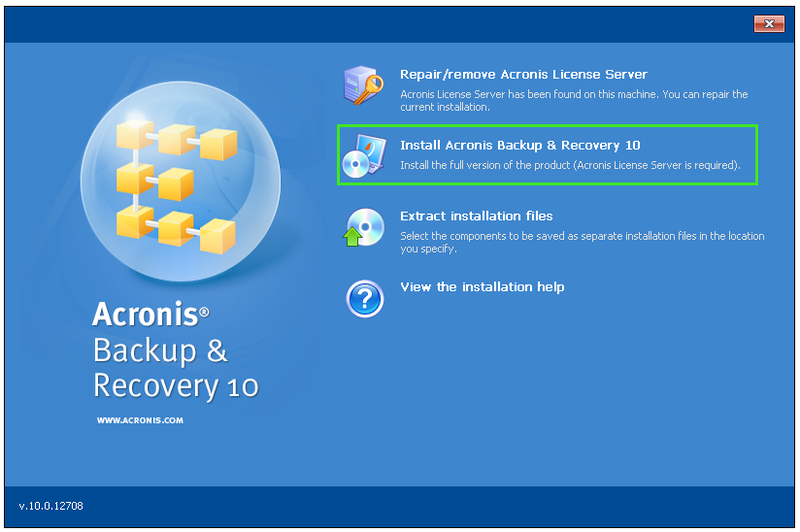 When you purchase Acronis Backup & Recovery 10 Advanced Server Virtual Edition, Acronis Universal Restore functionality is included in the product and the license by default. 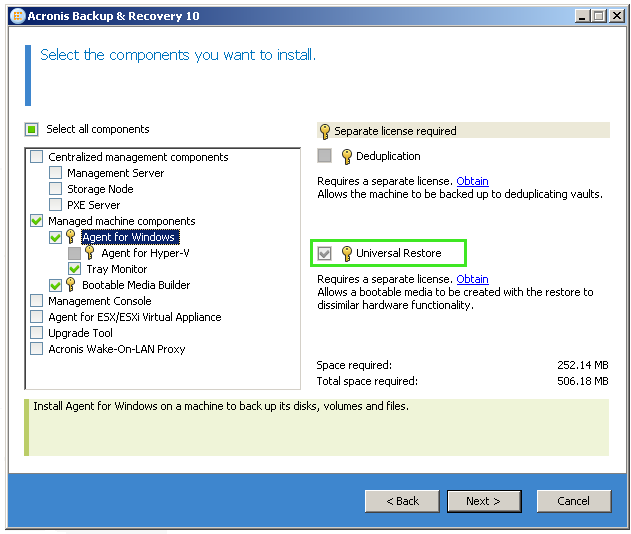 There is no separate license for Acronis Universal Restore. (!) 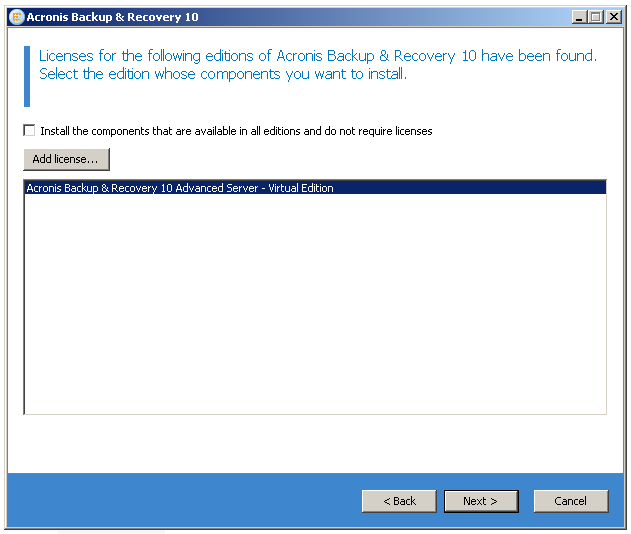 If you install Acronis Universal Restore using the extracted MSI file, the installer will not detect the necessary license. It is recommended to install the product using the main EXE installation file.